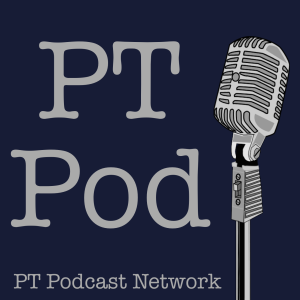 Hosted by Erik Meira, PT Podcast is an interview show for physical therapists. It was developed as a way to provide professionals with insight into the career paths of many respected and/or interesting physical therapists and to discuss current topics in the profession. The hour-long relaxed format allows the listener to get to know the guest in a more intimate, conversational manner. Interviews are also always conducted face-to-face to keep the chat casual and to assure the highest quality recordings. It’s like overhearing a dinner conversation. PT Podcast on iTunes – The iTunes page for PT Podcast. PT Podcast RSS – The RSS feed for PT Podcast. You can also follow and interact with us on Twitter or Facebook.